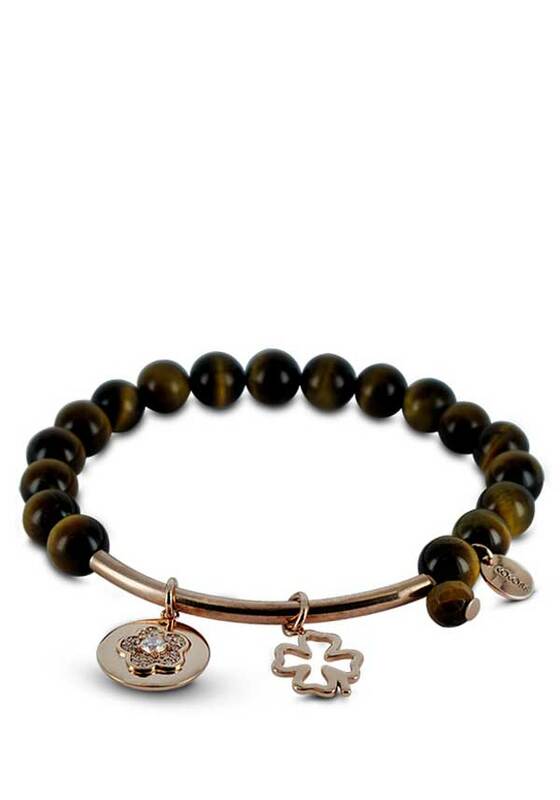 A cool tiger’s eye bracelet from the Coco88 Beloved collection. Elasticated, to fit any wrist size, it makes a wonderful gift. Finished with three delicate rose gold charms, one being a crystal encrusted flower Tiger's Eye is a stone of protection that is also very stabilizing and grounding. It enhances integrity, willpower, self-confidence, practicality and correct use of power.